Considered one of the greatest short story writers of all time, Anton Chekhov heavily influenced the evolution of the modern short story. Most notably, he used a technique that would later be called “stream-of-consciousness,” in which he eschewed the traditional story structure and simply wrote as though he was thinking aloud. Written in that same vein, “The Death of a Government Clerk” is one of his best-known short stories. The story is about the fragile Ivan Dmitritch Tchervyakov who blows a small breach of etiquette far out of proportion. Proceeds from sale of this title go to Reach Out and Read, an innovative literacy advocacy organization. Considered one of the greatest short story writers of all time, Anton Chekhov heavily influenced the evolution of the modern short story. Most notably, he used a technique that would later be called “stream-of-consciousness,” in which he eschewed the traditional story structure and simply wrote as though he was thinking aloud. 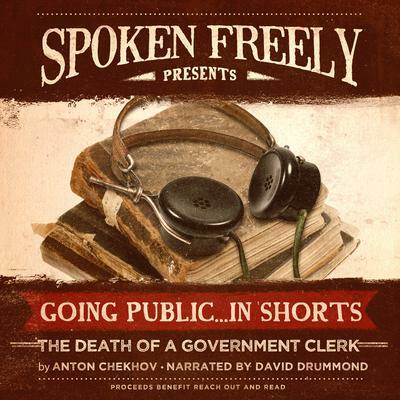 Written in that same vein, “The Death of a Government Clerk” is one of his best-known short stories. The story is about the fragile Ivan Dmitritch Tchervyakov who blows a small breach of etiquette far out of proportion.